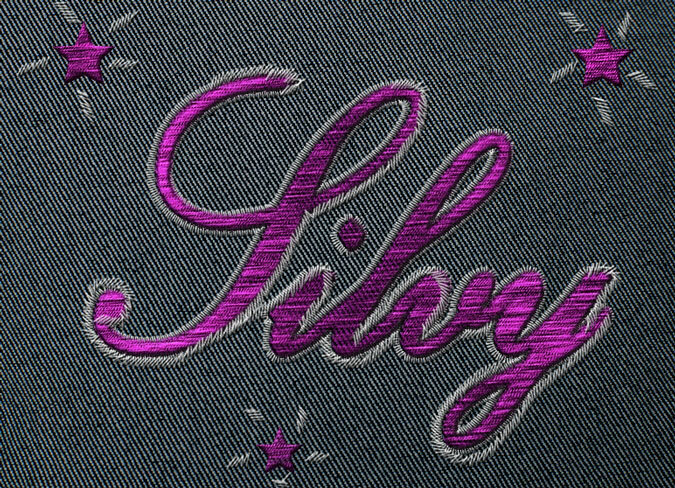 Learn how to create a silk embroidery effect in Photoshop using textures and layer styles. This is a quick tutorial for beginners to create embroidery and sewing text effects, badges and logos. Add the Stitched Jeans Texture in a new layer. Add a Levels adjustment layer to darken the jeans texture. Add a text layer. You can use a shape instead of the text layer. Or you can add a raster layer with both text and shapes. Make three copies of this layer and call them: Silk Embroidery 1-4. Add this layer style to the Silk Embroidery 1 layer. I will hide the top text layers to see the layer style effect. Add this layer style to the Silk Embroidery 2 layer. I will hide the top text layers to see the layer style effect. Add the Silk Texture in a new layer above the Silk Embroidery 2 layer. Right click and choose Create Clipping Mask. Add this layer style to the Silk Embroidery 3 layer. I will hide the top text layers to see the layer style effect. Add this layer style to the Silk Embroidery 4 layer. Press Shift-Control-Alt-E to make a copy of the merged layers. Go to Edit > Transform > Distort to change the perspective. Press Shift-Control-Alt-E to make a new copy of the merged layers. Go to Filter > Other > Hih Pass. Set the opacity of this High Pass Filter layer to Overlay to obtain a sharpen effect. You can of course use a Levels or a Brightness and Contrast adjustment if you want to add more contrast, lightness, etc. So here is the final result for the silk embroidery effect made in Photoshop using mixed fabric texture. If you want to create silk embroidery badges and patches in just a few easy steps, you can download this useful Photoshop action. 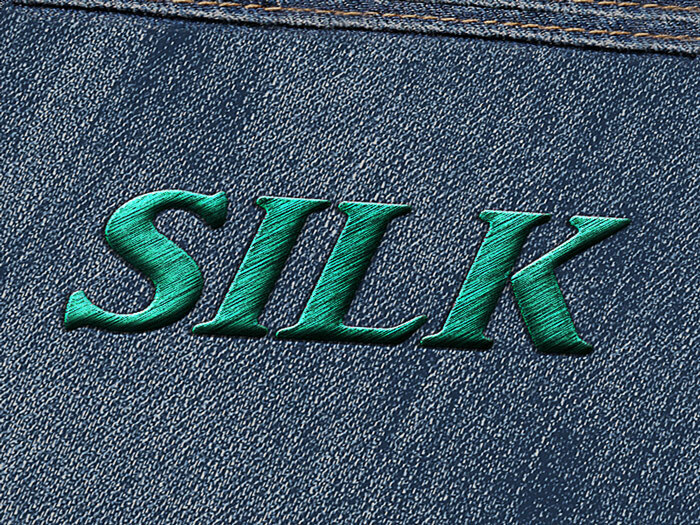 3 comment(s) for "Realistic Silk Embroidery Effect in Photoshop"